Good Food & Beer, Camping, Disabled camping area, Stalls. Live bands Friday & Saturday nights. Saturday afternoon Bike & Trike Show, BBQ and music. A fantastic evening of frank and humorous conversation with Carl Fogarty. A chance to meet and greet and ask Carl questions about his epic career. There will be a bar with guests ales and a variety of drinks. 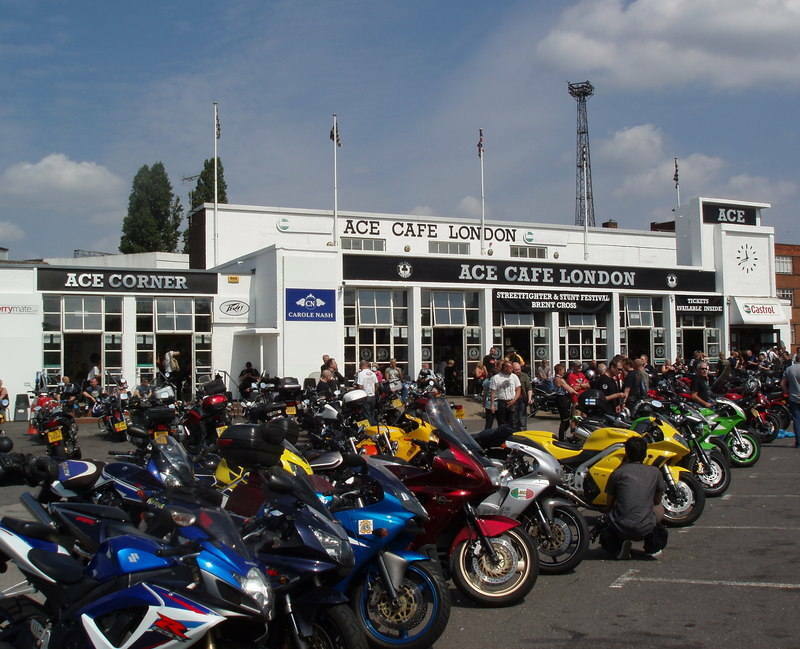 Come along and meet fellow enthusiasts and bikers, a warm welcome awaits! price: £25. Price includes an audience with Carl Fogarty, who will be interviewed and open to questions from the audience. Take in the fantastic countryside, see sights you might otherwise miss, ride great roads to suit all tastes. Mingle with other like-minded riders as you search for the answers to the clues. Choose from one of four levels from Bronze to Platinum, design your own route from a list of places supplied. There are plenty of options to suit all riders! price: Pre-book price: £18 Rider, £10 Pillion, by 27th May 2017. OTG: £23 Rider, £15 Pillion. Awards for the level completed. Pillions receive a completion award. Live Bands and Rock disco, indoor bar, Bike and Rider prizes, Rideout, Saturday afternoon entertainment, Burger van and food in clubhouse, full late bar with real ales. 24 hour toilet and shower facilities. Camping. Disabled access. price: Pre-book: £12, by 28th May. OTG: £15. Under 14 years old free. Free badge for first 150. 20 catagories to enter, trophies for all winners and cash prize (£200) for best in show. Rock Disco and bands. Free camping, stalls, food van, 24hr loos, ramped access for disabled. Bar and doors open from 12noon Friday. Welcoming Diesel motorcyclists from across Europe. Good food and drink, with modern facilities to hand. 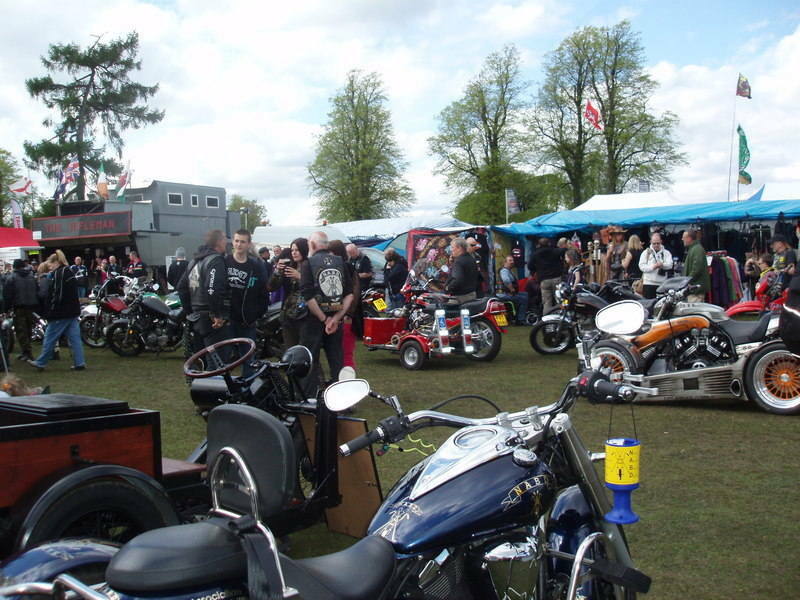 Annual event, showcasing the best and most original diesel motorcycles from across Europe. Personal BBQ's are allowed, but no open fires please. venue: The Bat & Ball, Newpound Lane, Wisborough Green, Billingshurst, West Sussex, RH14 0EH. Nearby Biker Friendly cafe. price: Only camping fees apply - likely to be £10 a night. T-shirts will be on offer. Automotive festival. Static and live action areas around the city centre. All makes and models welcome. Especially looking for classic and customised bikes to join displays. Owners clubs, etc. This northern Goodwood FOS type event is a great place to meet up with motorsport friends and enjoy a weekend of fast, competitive action. The 3.2 miles circular track is highly respected amongst the competitors. Fans can see them with their Supercars leave the startline and be there as they return to the pits. CPOP is simply the best place to soak up the atmosphere amongst the drivers and mechanics with over 150 track entries from both cars and bikes the track has constant action each day. Set in the stunning grounds of Cholmondeley Castle, Cheshire. There will be classic motorcycle demonstrations and trade stands plus enthralling on-the-track action featuring parades, ride pasts and speed trials, where two wheelers tested each other to the limit on the Power and Speed circuit. On-site camping in parkland setting. price: Pre-book: £26 adult. Children free (when pre-booked online). £30 membership pass. £69 3 day ticket. £258 Adult hospitality. £192 Child hospitality. £15 child membership pass. OTG: £40. Custom Bike Show, Top Local Bands and quality Real ale. This year they are offering beer at £2 a pint until 6pm on the Friday and 4pm Saturday. Trade stalls, ride out and silly games for your amusement. For the other end of things we offer clean flushing loos and flat camping. But fires and dogs are not allowed - sorry. Organised by Reading Motorcycle Action Group. price: Pre-book: £15. OTG: £20. Children under 12 get in free. Car parking £10. Disabled exempt. price: Entry for all: £7.50 includes day entry to the Lion Rally which is next door. In aid of BHM Scout Group. Bands Friday and Saturday night plus rock disco. Cheap beer and food (cooked by the scouts). Silly Games and Stalls. price: £13 Pre-Book only. 150 limit. Family friendly rally on an enclosed site. Great music from live bands in the evening. Food and drink all weekend with stalls,and fun and games with Pendragon mcc. price: Pre-book: £10, by 2nd June. OTG: £15. Children under 14 free. Car passes £10 by prior arrangement only. Good Food & Beer, Camping, Disabled camping area, Stalls Live bands Fri & Sat night, Saturday afternoon Bike & Trike Show, BBQ and music. 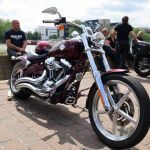 Daventry town centre is set to host the 6th Daventry Motorcycle Festival and organisers want to hear from individuals, businesses, groups or organisations that want to be part of this exciting event. This free family friendly bike festival will see an array of old and new bikes on display along with some great music and children’s entertainment. The event is kicked off with a mass Ride-In - meets at 9am. Entertainment includes: Arena Stunt Shows, Childrens Rides & Entertainment and Live music. venue: Meeting 9am to leave at 10am at Tesco Hamiliton car park, Maidenwell Ave, Hamilton, Leicester, LE5 1BJ - Arriving Peterborough Cathedral, Peterborough, PE1 1XS around 12.30.
price: £20. 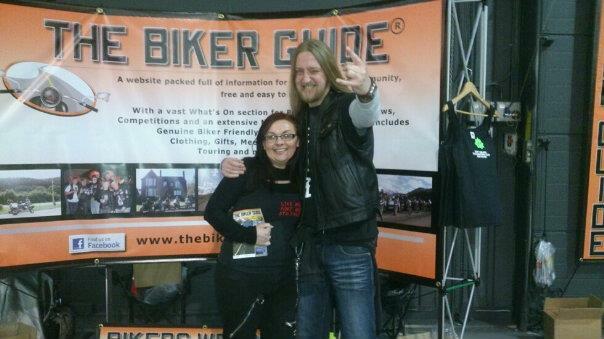 Discount offered to THE BIKER GUIDE visitors of £5 off, using the code BIKERGUIDE when you Book now. This run is the show piece of the club and is organised by the HCMC. The Loch Ness Rally incorporates a country run of about 75 miles in the scenic Loch Ness Area. There are Concourse categories (Veteran to Modern Classic) as well as Club Trophy Awards, a cash prize raffle, plus other small prizes to be won, and for those who want, a meal can be ordered for after the run. Well attended and estabshed (25+ years) with around 100 entries and a wide range of machines on show. price: Free entry. There is a small fee to enter a bike for judging. Charity Treasure Hunt through Northumberland starting at noon with DJ and Live Band (The Dirty South) back at the bar on the evening. Limited camping available by arrangement. price: £3 each for either the run or the evening or £5 all day. Michael Rawson has organised a motorbike ride from Squires Cafe to Manchester. With full permission from Manchester council and police. The speed limits are set for all bikes to keep up safely. Stickers bought for £5 to allow your bike into Manchester. Press and radio stations are going to run a live interview at both ends and Michael is hoping to donate a fortune. venue: Squires cafe, Newthorpe Lane, Leeds, LS25 5LX to Manchester. 9am meeting at Squires target leaving time 11am. This new 2 day biker event, in the holiday town of Cromer (Norfolk), is open to all types of bike, trike and scooter. On the Saturday night, there is a live band "Rock Concert" with 2 local bands playing from 7:30 pm until midnight. . Sales stands and auto jumble. This event is a fundraising event for Sheringham & Cromer Lions Club, and all proceeds will be donated to Prostat Cancer UK. price: £5 per rider. £5 per adult. £3 per Senior/under16 Non rider. Park & ride available for cars. Camping available from Friday night until Monday Morning at £5.00 per night per tent. £19 per caravan/Motorhome. Mains toilets and showers are available. The 5th year of this little BBQ and bike show which continues to grow. All bikes are entered into the show. price: £2 - price held. Real ale bar £2 a pint. Wellard Willy playing Friday night. Rooters playing Sat night. Food tent. Free tea and coffee all weekend. Rock disco. Bikes or trikes only. price: Pre-book: £15. No on gate price. Ticket holders only. 350 limit. Meet the club, see the bikes, get to know the most social bike club around. Food available. 28th Scottish Classic Motorcycle Show, indoor and outdoor at Ayr Racecourse. With over 130 classic, vintage and competition two wheelers. Plus, parades throughout the day of classic racers and road machines. Come along and celebrate the 50th birthday of the Triumph Daytona with a dedicated Meriden Triumph hall. Charity Ride, Shop n Show to raise funds for a Children's Type 1 Diabetic Charity that hosts a summer camp. Rosette and a tenner for furthest travelled. Best blokes and best ladies by vote. Cash raffle, maybe more. Mat Partner blues pm and xl band rock covers evening. Ride1 (11.30am) from The Bulls Head, Hinckley Road, LE9 9JE to Tesco Superstore Hinckley (LE10 1UE). Shop for camp shopping list (food for children). Ride2 to The Crown Inn Heather, 23 Main Street, LE67 2QP. There show the pride you ride on or in. price: £5 spend @Tescos unless you wish to spend more. £5 to Ride n Show, includes raffle ticket, entertainment. As one of the UK’s biggest classic car events, the Footman James Bristol Classic Car Show welcomes thousands of enthusiasts for its annual, early-summer running at Somerset’s Royal Bath & West. Hundreds of traders are housed in the venue’s halls offering a range of four-wheel related bargains including parts, spares, tools, accessories and memorabilia, along with a range of superb displays from the country’s top car clubs. Special exhibits, a classic car park and interactive experiences add to the weekend line-up before it culminates with an auction of classic vehicles from Dorset-based sales outfit Charterhouse. price: Pre-book: £11 adult, £10 senior, U16 free. OTG: £12 adult, £11 senior. Scorton Steam is the biggest steam fair in the North West with over 600 exhibits of vehicles of all ages, shapes and sizes. Packed with family fun it is THE thing to do for Father's Day. The special attractions for 2017 are Vander Wheel of Death Outdoor Aerial Stunt Act, Rosettas Retro Variety Entertainment and Vintage Artillery Field Gun Display. Lawnmower racing, trampolines, crafts, food hall, fairground rides and soft play area... something for everyone! Also Saturday Night live music performance. price: Pre-book: £9. OTG: £10. Children (10-16) and concessions £7. Under 10's free, Weekend Camping and Entry £70 per person. Now in its 69th year, it is the largest gathering (500+) of pre-1931 motorcycles and 3-wheelers in the world and visitors will be able to see the motorcycles start and finish at the Museum. Harley Riders Gwynedd & Mon Annual Charity Ride. 84 miles throughout the Snowdonia National Park. Steam Train Day using Andrew Barclay 0-4-0 steam engine 'Lord Fisher' to give train rides along the 1/3rd mile of the ex-Great Western Railway Clifton Maybank branch. Passengers travel in historic brake van vehicles or coach. Visitors can enjoy unlimited trips on the day as well as on the Miniature Railway. Other attractions include a Shop, Light Refreshments, Model Railway and exhibits and displays (including demonstrations of the turntable). Motorbike ride-in planned today. Something extra for Fathers (and other halves!) to enjoy! 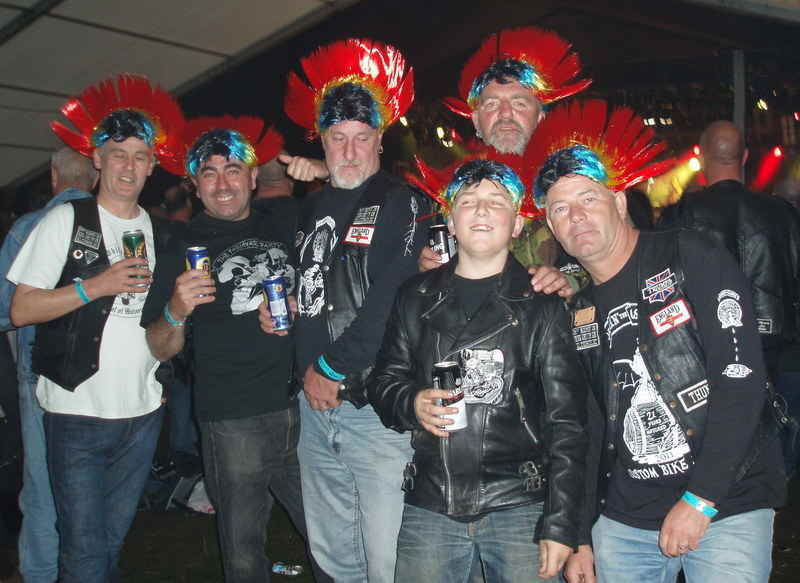 Waterlooville Motorcycle club celebrates motorcycles from their beginning in 1928 to the present day. Show to be opened by Sammy Miller MBE. Refreshments available. price: £3. Under 16's free. Trophies. Food. Stalls. Music by "Can I Call You Fred". DJing by Lewis. All proceeds to Little Hearts Matter. price: Free admission. £2 to enter your Bike/Trike into the show. All the usual categories in what is always an incredibly diverse selection of bikes on show. Best under 250cc, Brit, V-Twin, Jap, Custom, Engineering, Streetfighter, Paintwork & Brightwork, Club Stand, Oddball, Best of Show, etc. No alcohol on site, but ample cold soft drinks and BBQ food available all day. Bike parking available on site, but cars will need to park off site in town. All money raised goes towards Barnardos Highclose School, on whose playing fields the show takes place. venue: Dr. Barnardos Highclose Boarding School, Wiltshire Road, Wokingham, Berkshire, RG40 1TT. 10am - 4pm, judging at 1pm. price: Free entry to the site (donations to Barnardos). £3 to enter your bike in the show, Must be ridden. Entry forms on the door, Club & Trade Stands by arrangement. All entries at their own risk. Reading Christian Motorcyclists accept no liability for the safe keeping of property. Free tea/coffee. Free bike safety check. Collision investigation team. Helmet removal demo. I.A.M. Police bike section. Bands, local ales and ciders, hog roast, inter club tug 'o war, arm wrestling competition, custom bike show, food and trade stalls, free camping and café on site. Really chilled atmosphere. Rally by Sarum Bikers. There will be live bands, stalls, hot food, beer, silly rally games, archery, local rock bands and a bonfire. price: Pre-book: £10 by 10th June. OTG: £15. This is the 6th annual Wildfire Festival, Scotland's only rock and metal festival. 3 days, 3 stages, 70 bands. Great camping facilities and families most welcome. venue: The St Thomas Cross pub, Newton Road, Newton, Rugby, Warwickshire, CV23 0DN. 2pm until 2am. Ride-ins from Devils Bridge (Kirkby Lonsdale) and Penny Garth Cafe (Hawes) or just make your own way there! All Bikers are welcome. American-V Sportster at 60 Celebration. The iconic middleweight is still in production today, making it the longest continuous production run of any motorcycle. The show is a must for anyone who rides, has ever dreamed of riding a Harley or wants to learn more about them. The event will feature static displays, tech talks, moto gymkhana for those wanting to see how light, manoeuvrable and capable their bikes are. There will also be a wealth of traders covering everything from clothing and parts to complete bikes. Sportsters from chops, trikes, stock and rare race bikes will be on display. Added to that will be the iconic sound of Harleys coming and going during the course of the day. price: Pre-book: £9. OTG: £14. Weekend camping available, including show and museum access from £25. A fabulous fun summer fest ~ live music all day, food to suit all from meaty meat to vege & vegan. Over 100 stalls. Fun for all ages. Plenty of parking. Full event spread over 3 acres. Country festival with all sorts of classic and vintage vehicle bikes trikes cars military vehicles etc etc bar refreshments stalls! Free entry for any classic vintage or show bike. price: Free for any classic,vintage or show bike. £3 if not. Children free. Food, Raffle, Prizes & Ride-Out! Come down and enjoy some quality food, an afternoon of motorbikes and a nice cruise through the New Forest. Chilli and Curry available on the day for bikers at £6-£10. Bar open as usual. price per motorbike; Pre-book: £2. OTG: £4. Ticket/gate money all going to charity. 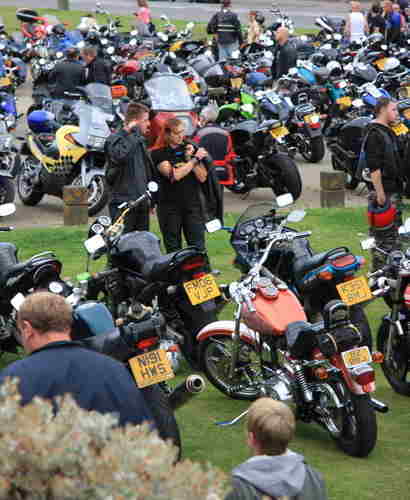 Fouth annual St. Ives Festival of Motorcycles; or sifom for short! Held in the town centre streets of picturesque St. Ives in Cambridgeshire. 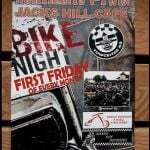 A non-profit event organised by enthusiastic local bikers to raise money for charity. All proceeds for the day are donated equally to the chosen charities - MAGPAS and The Poppy Appeal. This is a fun and free day for everyone; both bikers and non-bikers alike. In association with St. Ives Town Council and the Royal British Legion Riders Branch. Ride to Meriden, the centre of England, join mass ride-in from Alcester, Show your bike, competitions, Beer, Food, live music by 'The Firm'. Silent auction. Guest of Honour Jim Redman MBE, Six Times World Champion and Six Times Isle of Man TT Winner. Jim is one of GPs most extraordinary characters, and a true legend of motorcycle racing. After migrating to South Africa, he started his racing career in the mid-fifties, and was awarded an MBE in 1964, the year that also saw him win three World Championships in a single day, a feat, to this day, matched only by Mike Hailwood. Meet Jim in the marquee, where he will be available for question and answer & book-signing sessions. He sold out of his autobiography at Ardingly in October 2015, so make sure you don't miss out! Large indoor and outdoor Bikejumble with new and used spares, bikes, clothing & accessories for sale. Free BikeMart display-to-sell area for private vendors. Beer tent selling Real Ale and live music from local Rockers Tim Phillips & 1066 Rockitmen. Refreshments available, previous events featured local hog roast, toasty sandwiches and real coffee in addition to chips & burgers. Well-behaved dogs on leads welcome. price: Adults £4.Children £1. Free Parking. An enjoyable, non-competitive, long distance event for motorcycles and 3 wheelers over 25 years old - designed to challenge entrants’ riding and navigation skills and test their machines over a wide range of surfaced roads. A list of 24 waypoints spaced around the border of Herefordshire will be published two weeks before the event. Riders should plan and follow their route to visit as many of these points as they choose. price: Pre-book: £5 per machine up to June 23rd. OTG: £10. Open Motorcycle Show in aid of three Charities for classic and modern bikers, scooters, 3 wheelers, specials, etc. Enter your machine in the Competition or come and soak up the machines and atmosphere. Public welcome, it's a right good motorcycling day out. Refreshments, food, ice creams, raffle, tombola, books and bike gear, etc. Real Ale from the Dent Brewery. Live acoustic band Saturday evening in the George & Dragon. 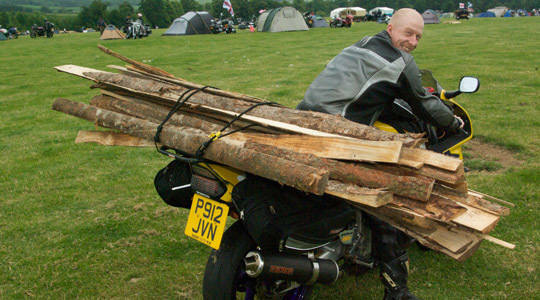 A camping weekend of fun, live music, food and adventure motorcyling held over many previous years near Andover Hampshire. This year it is in Buxton in the Peak District. Weekend event all in pass - Pre-book: £45, by 15th May. OTG: £60 (subject to space). Something a bit different and the majority of the event in the woods! There will be a real ale cash bar, a stage with live performances from The Rockafellas and the legendary Dirty Li'l Secret. Food served all weekend, also an ice-cream van and marshmellows to toast over the famous fire pits. Bouncy Castle and stuff for the kids and a Rodeo Ball for the adults with prizes to win. price: Pre-book: £15, by 23rd June. OTG: £18. Day Tickets £9. Under 16's free.